Switch Rods are a big part of a steelheader’s arsenal on the Salmon River for indicator fishing and swinging flies. While most try to do both with one line, its been pretty tough to cast a indicator rig and then cast a sink tip and heavy tip and a decent size fly with one line. 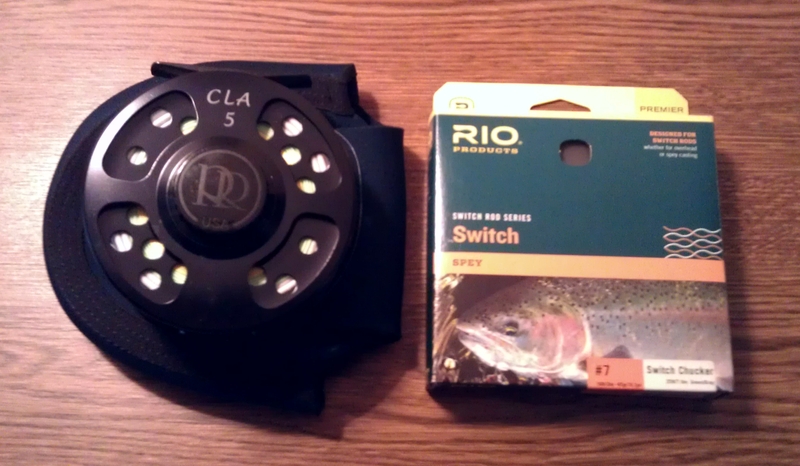 Rio came out with the solution, “Switch Chucker”. The 7 weight line weighs in at 465 gr, the head is 25′ followed by a 14′ handling section then 61′ running line. I have it set up on a two TFO 7110-4 with Ross CLA 5′s and it will throw a indicator and shot 60′+ with ease. Then you can loop on a 10′ section of T-8 and it cast’s 60′- 70′. The perfect line for the switch rod owner who likes to do both. 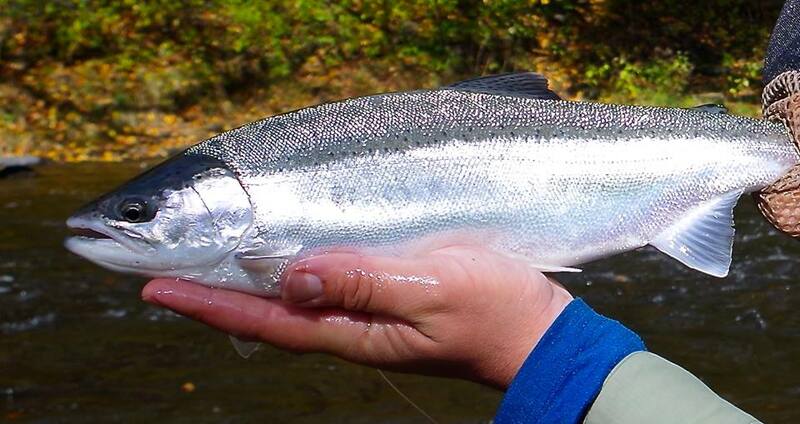 The Salmon season is behind us now and the river is full of Steelhead. We started out mid-October with low warm water and plenty of steelhead that weren’t eager to bite. Now on November 1st we have really high water and good water temps and the outside temp is 68 (not bad huh?) and a river full of eager to bite steelhead. Once the flows settle back down we will be set up for a great fall/winter season. My November is full and I have some December dates still open. If your interested in a trip, please call or e-mail to discuss it.